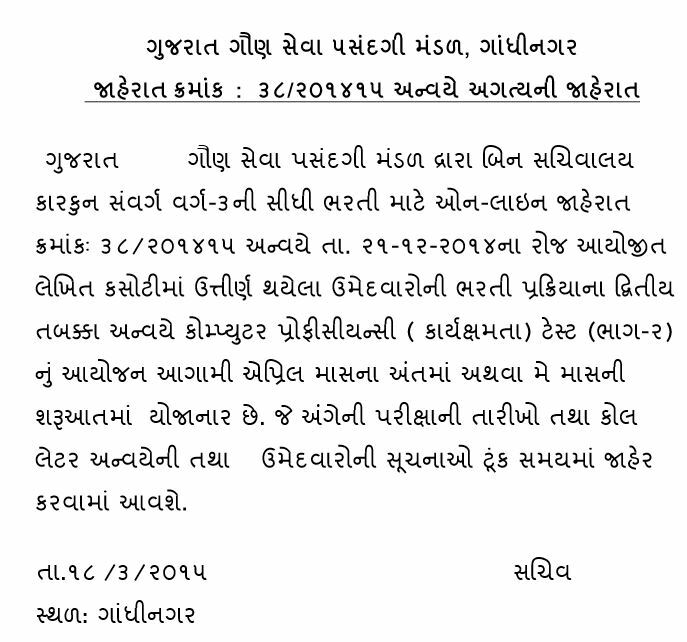 GSSSB Bin Sachivalay Clerk Computer Test Notification 2015: Gujarat Gaun Seva Pasandgi Mandal, Gandhinagar published important public notice for Bin Sachivalay Clerk Qualified Candidates. Bin Sachivalay Clerk Part-2 Computer Test Will be held in the month of April 2015. Call Letter Download Notification will be published soon.